This post is sponsored by Milk Life Lo Que Nos Hace Fuertes. I am thrilled to work with a company I believe in. What could be better than peanut butter and chocolate? Not much! 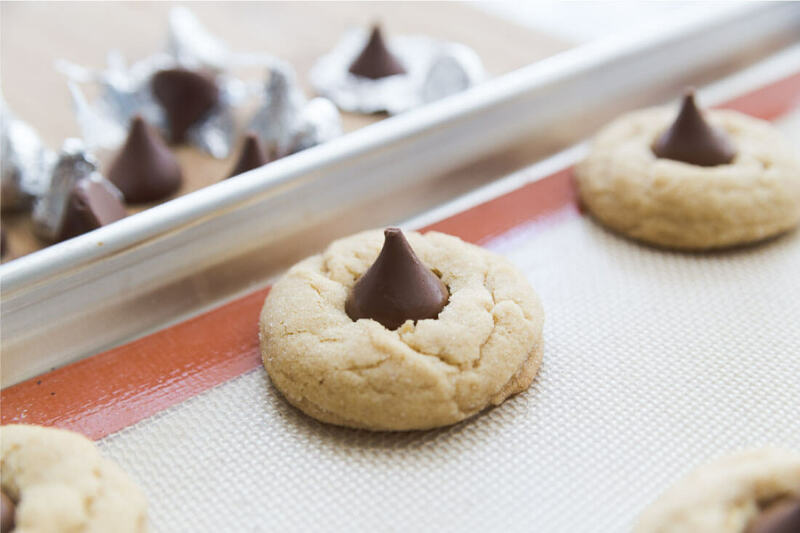 Make these delicious Peanut Butter Blossoms and pour a glass of milk. Enjoy! 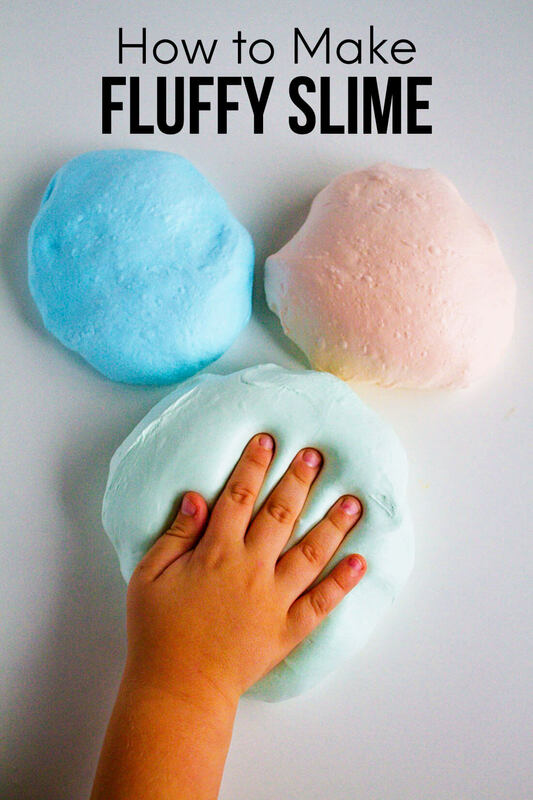 It’s no secret that cooking with kids (and baking too!) is important to me. We’ve been spending time in the kitchen together for years. My youngest son, Drew, especially loves to bake with me. And he really loves making cookies. These peanut butter blossoms are super easy to make so it’s the perfect recipe to make together. 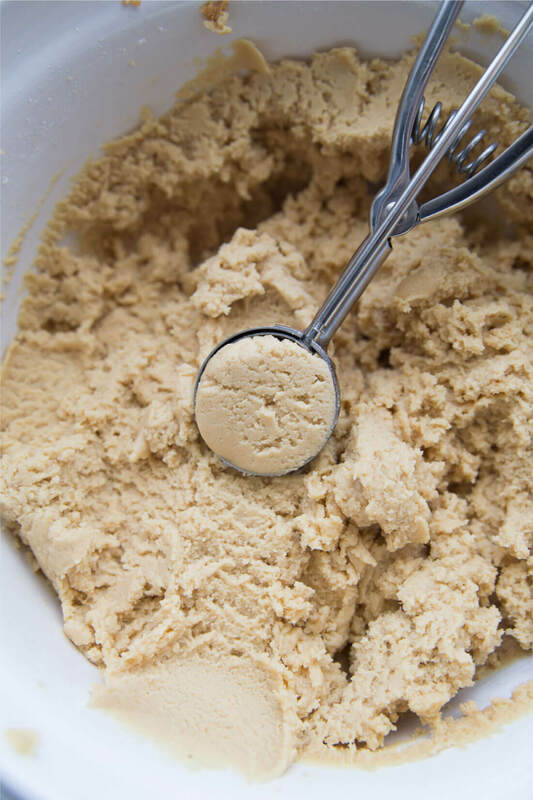 Cookies are the perfect recipe to make with your kids. This one is fun because it has chocolate kisses to add to the top. They are soft and light and come out good every time! You really can’t go wrong. The truth is, I want to provide balance for my kids. We try to eat healthy meals but we also like treats. Having a cookie and a big ol’ glass of milk definitely hits the spot. Did you know that milk is the number 1 food source of calcium, vitamin D and potassium? But kids are drinking less and less of it so they aren’t getting enough nutrients to grow. Which is surprising to me because kids love milk! It tastes so good and nothing is better than an ice cold glass of milk, right? 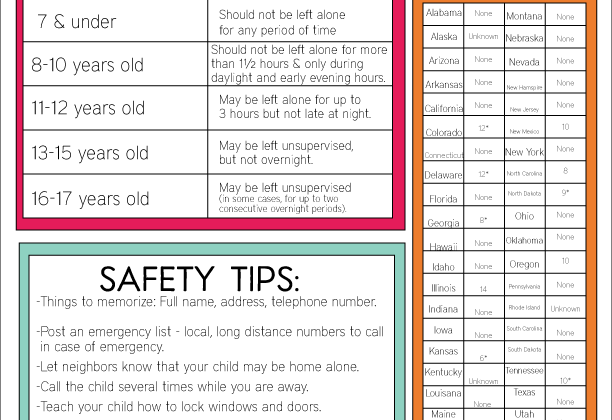 As my kids are getting older, this is super important to me. Giving them milk with meals is a simple way to help kids get natural protein and balanced nutrition to help them grow up strong. 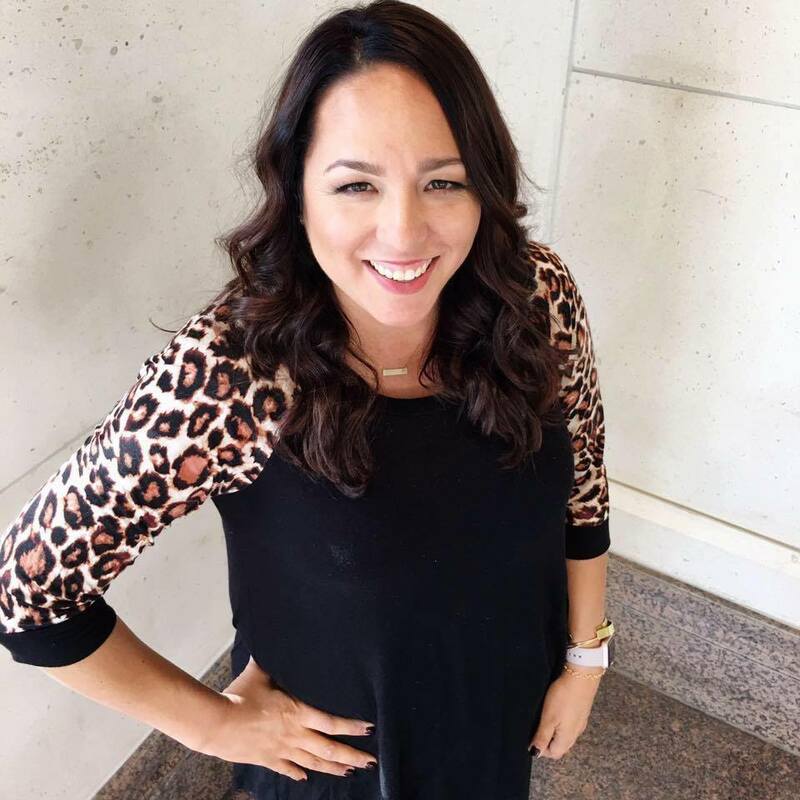 For more information on how much milk your kids need and ideas for how to get it to them, visit https://fuertesconleche.com/nutricion/dales-mas-leche. Chocolate or Strawberry Milk – every once in awhile I let my kids add a little flavor to their milk. Add milk to fun drinks like Chocolate Chip Cookie Hot Cocoa, smoothies, and more! 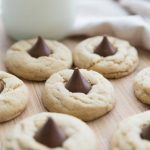 If you love this easy Peanut Butter Blossoms recipe, you’re going to love these other cookie recipes. Please click each link below to find the easy, printable recipe! 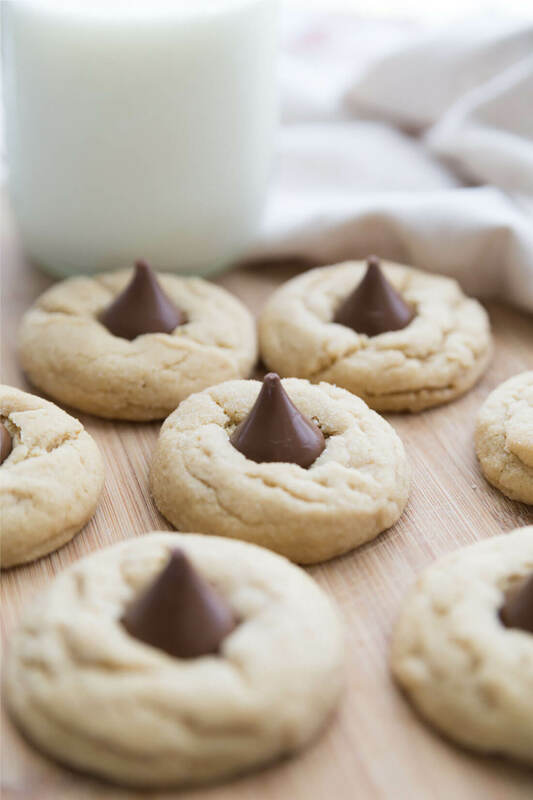 You know the old saying “we go together like cookies and milk?” Peanut Butter Blossoms and milk go hand in hand. To make it even sweeter, you can make these cookies for friends and deliver with some cute tags. 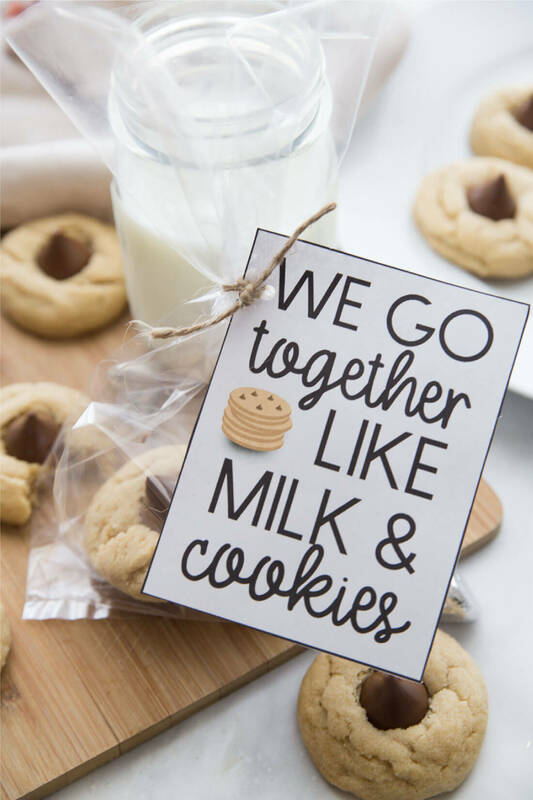 Download these milk and cookies tags. For personal use only. 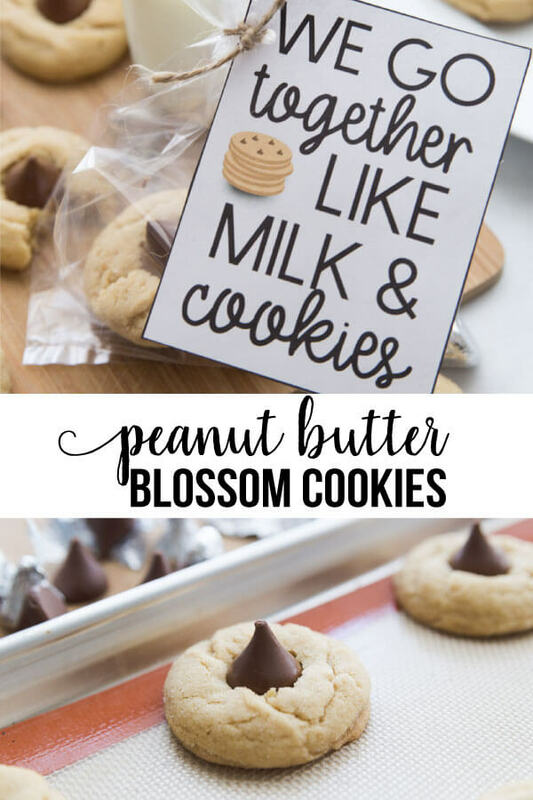 If you love this Peanut Butter Blossoms recipe as much as I do, please write a five star review, and be sure to help me share on Facebook and Pinterest! Cream sugars, butter and peanut butter together. Beat in eggs, one at a time, milk and vanilla. Place on ungreased cookie sheet, bake at 375 for 10-12 mins (don't overbake!). Immediately press a chocolate kiss onto each.